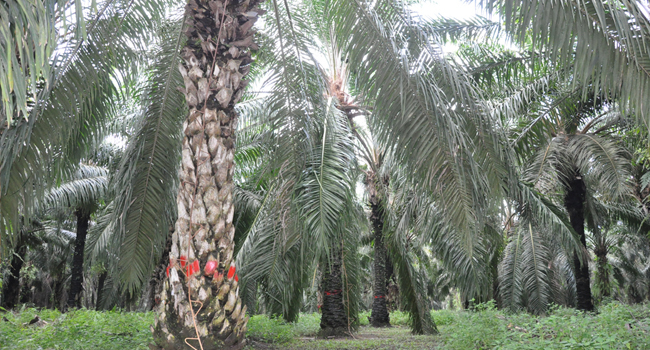 InfoSAWIT, MEDAN –After being successful to run palm oil replanting program within the grant help, about Rp 25 million per hectare from Palm oil Plantation Fund Management Agency (PFMA) in Musi Banyuasin some time ago, it is said, palm oil plantations in North Sumatera would get the same. General Director of Plantation, Ministry of Agriculture, Bambang said, North Sumatera is the second province getting the replanting program using the fund help from PFMA in Indonesia. He said that after making Coordination Meeting to Replanting Program Preparation in North Sumatera with the officials of the districts and city. He also said, the areas proposed to the program are in three districts, they are, Serdang Bedagai reaching 54 hectares within 38 planters (smallholders) in the Village of Kutapinang.In Serdang Bedagai, the program is in partnership with PT Paya Pinang and BNI. In District of Langkat, the program covers 256,92 hectares within 114 smallholders and in partnership with PT Perusahaan Perkebunan Nusantara (PTPN) 2 and BRI. While in District of Labuhanbatu Selatan it covers 558,76 hectares and 278 smallholders and in partnership with PT Nubika Jaya, Asian Agri, and BRI.